Insects buzzed. Birds chirped. But there were no voices. No help was coming. A girl trapped in quicksand, with no chance that anyone will hear or. A boy trapped in what seems to be a coffin. And a girl, searching for a lost heirloom, instead finding killer crocodiles on the rampage. The ten stories which make up 500 Minutes of Danger are high-action, fast paced stories each of which sees a young character engaged in a life and death struggle, with plenty of cliffhanger moments and twists and turns. Each story stands alone and can be read in about half an hour. But, as the book progresses, readers gradually become aware that the stories are linked and that seemingly unconnected events and characters are all overshadowed – literally – by one big menace. Buying through 500 Minutes of Danger supports Aussiereviews. At that moment, the speeding bullet train burst out into brilliant sunshine and CJ found herself staring at an awesome sight. In spite of its massive population and a booming economy, China lags behind its adversary, the United States of America, in a key way: it is not the cultural ruler of the planet. China needs something to compete with the power of Disneyland, the dreamfilled destination which epitomises commercialisation and is known the world over. When it is discovered that the most famous mythical creature of them all is not in fact a myth, and is hiding deep within China, it seems that the answer is clear: a zoo unlike any other, where dragons fly free. People will come from everywhere to see them, and will leave knowing that China really is the world ruler. CJ Cameron doesn’t know any of this. All she knows is that the Chinese government has requested that she visit its new zoo on behalf of the National Geographic. With her brother Hamish and a party of other influential journalists, she is taken to a secret destination, little knowing what it is she will see there. Soon, though, her amazement at the realisation that the zoo houses dragons, is replaced with horror as she realises the dragons are turning rogue, and that zoo officials will do anything to ensure she doesn’t escape to spread the word of this glitch in the zoo’s operations. 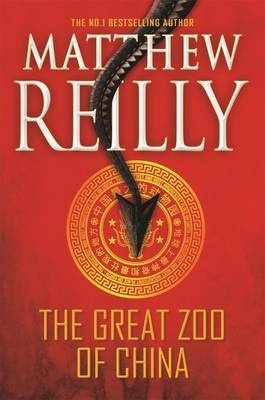 The Great Zoo of China is a fast-moving, often gruesome, action thriller of the kind Matthew Reilly fans have come to expect. Moving almost as quickly as the bullet rains which appear in parts of the novel, the story unfolds over a very short space of time, but manages to include many deaths and lots of destruction, along with a feisty main character who, with some help, tackles dragons and human foe with ingenuity. If the plot sounds familiar, Reilly admits that it was inspired by his love of the novel Jurassic Park and, although he has worked to make it different, by setting it in China and by using dragons instead of dinosaurs, there are similarities which make his homage obvious. This doesn’t make the book less likely to appeal to lovers of Reilly’s work, or of action novels in general, who will enjoy the premise and the plot. Revenge is a stand alone sequel to the 12 books which initially made up Conspiracy 365. It has the same fast paced action, count down style and first person voice – though this time as well as Cal’s voice, most of the story is told in his mate Boges’ voice. I knew something was wrong as soon as I saw the envelope. It was waiting for me on my pillow. A red wax seal marked it like a thick, wet drop of blood. I ran to the window and looked out, but the front yard was dark and quiet. Cautiously, I pulled the curtains back across and picked up the creamy-coloured envelope. The front was blank, but the seal on the back was carefully pressed with something feathered. I held it under my lamp. A chill shuddered through my body. In Conspiracy 365 Cal Ormond spent a year of his life on the run from a plethora of enemies, all after him for his link to the mysterious Ormond Singularity. 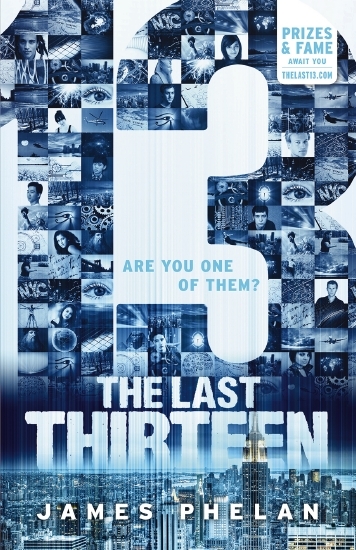 With the help of his friends he had to unravel the mystery of the singularity and outwit his enemies, all the while being hunted by the police and the press who believed he was a criminal. Now he is back with his mother, sister and friends, his new inheritance ensuring a comfortable future. Until he finds a note on his pillow and realises someone is still after him. Now there are just 30 days until something terrible happens – but Cal has no idea what that terrible thing is. And, when he disappears, it is up to his friends to find him and solve the mystery. Revenge is a stand alone sequel to the 12 books which initially made up Conspiracy 365. It has the same fast paced action, count down style and first person voice – though this time as well as Cal’s voice, most of the story is told in his mate Boges’ voice. There are mysteries to solve and readers will enjoy guessing at these and looking for the clues as they joining the ride which feels somewhat like a junior James Bond, with high-tech devices, larger than life baddies and exciting settings. Fast paced action for upper primary and lower secondary aged readers.